I'm a writer and lifelong animal lover who has owned cats, dogs, birds, turtles, fish, frogs, guinea pigs, gerbils, and rabbits. Walking into a dog shelter can feel a little overwhelming: dozens of barking dogs jumping against the doors of their cages, all vying for your attention. Each one seems to be saying "pick me! pick me!" Other dogs hang back in their cages, looking frightened and confused about why they're in this strange, unfamiliar place. In the average dog shelter, you’ll find dogs of all shapes, sizes and colors, young and old, mutts and purebreds. Some look healthy, and others like they could use a few extra meals. The one thing they all have in common is their sweet faces and pleading eyes that tug your heartstrings and make you hope each one finds a loving family to take them home. So how do you choose just one dog from so many possibilities? As someone who volunteered at a large dog shelter for almost two years, I wrote this article to help anyone considering adopting a shelter dog find the right dog for themselves, their family and their lifestyle. Your search for a shelter dog should ideally start before you go to the shelter. When you consider the following topics in advance, you'll have a much better idea about what type of dog would be the best match for you. How much time do you or other people in your household have to take care of a dog? 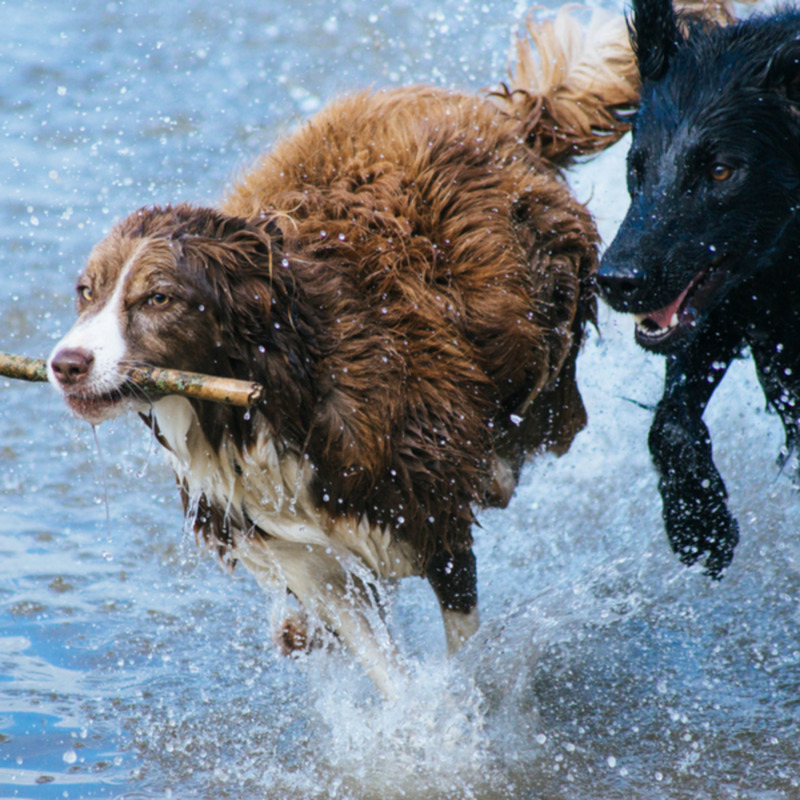 Do you have time to take a high-energy dog on a long walk or two each day or would a less active dog be a better fit for your busy schedule? Unless you live alone, it's important to select a dog that's appropriate for everyone in your home. If you have children, keep in mind that some dogs are fine with kids of all ages, some are better suited for older children and certain dogs shouldn’t be in a home with kids at all. The dog shelter staff is usually helpful in determining if a specific dog will be right for your family. Is anyone in your home allergic to dogs? If so, limit your search to breeds that are hypoallergenic. 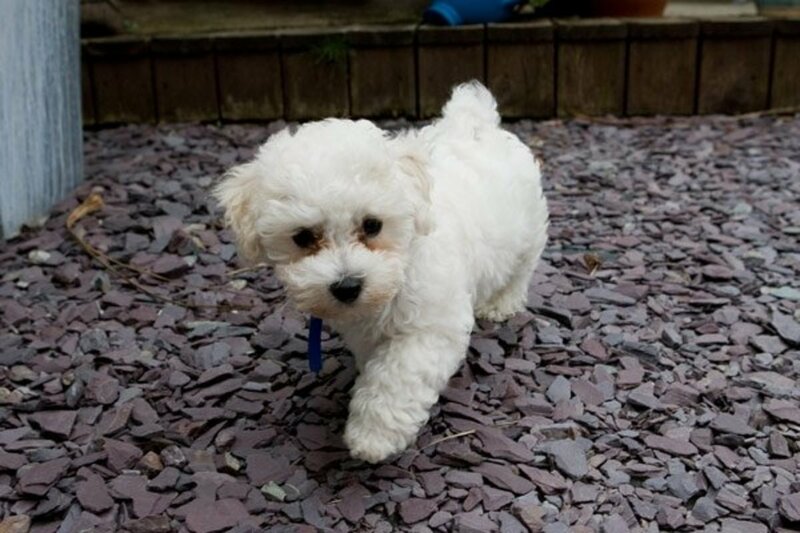 A few examples include the Bichon Frise, Poodle, Portuguese Water Dog and Maltese. For a complete list of hypoallergenic dog breeds, please see: American Kennel Club: Hypoallergenic Dog Breeds. 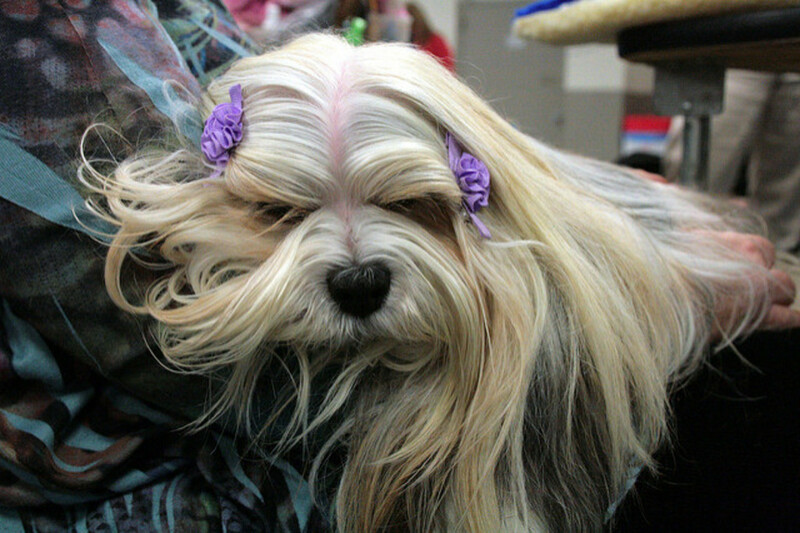 Hypoallergenic breeds can sometimes be found in shelters. Call shelters in your area to inquire about any dogs of the breeds you're considering. Do you have a small house or apartment or a spacious home with a fenced-in yard? An energetic dog is fun, but only if you have the space for him to exercise as much as he needs. Don’t forget that the size of the dog and their activity level can be separate issues. Some large dogs are couch potatoes and some smaller dogs need lots of exercise to be happy. If you rent a house, apartment or live in a condo, check your lease or with your condo association to see if they have any breed or weight restrictions on dogs. All dogs need to be brushed, but dogs with certain types of coats need more work than others. 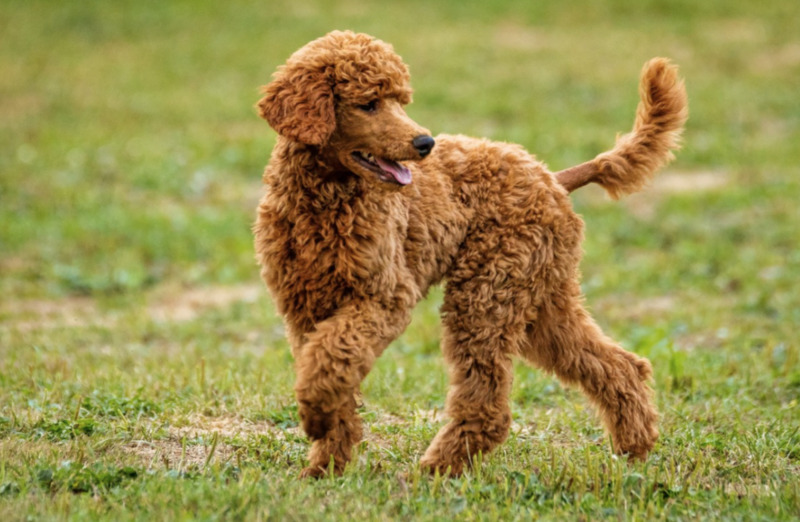 Some long-haired or fluffy-haired dogs may even need professional grooming on a regular basis to keep their coats in good condition. Think about if extra grooming is something you have the time or money for. Would you mind a dog that barks a lot or would you prefer a quieter dog because you live in an apartment building or run a business from home? Some dogs bark much more than others, so this is another thing to notice when you visit the shelter. If you have other dogs or a cat, you’ll want to choose a dog that will be compatible with them. Consider your current pet's personality and how he or she will interact with the new dog. If you're planning to find a purebred shelter dog, read online about that breed's compatibility with other pets. For example, breeds with a high prey drive may not be good with smaller dogs or cats. 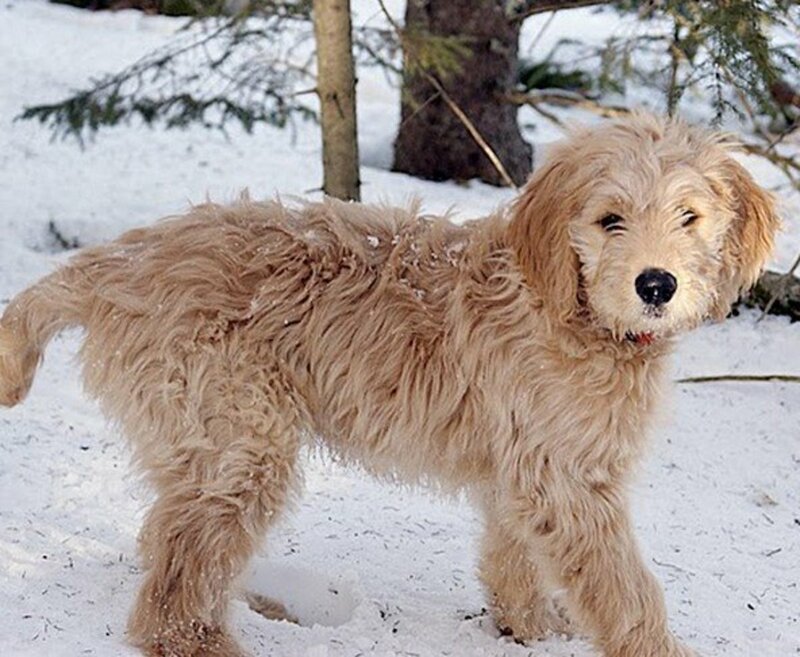 Many people find it helpful to start their search for a dog online. When you visit the websites of local dog shelters, it's easy to find photos and details about the dogs currently in their shelter. This is especially helpful for anyone who's looking for a specific type of dog. I've listed a few links for locating dog shelters in your area at the end of this article. What age dog are you considering? Should You Adopt a Puppy, Adult or Senior Dog? Most shelters have dogs of all ages available for adoption. Before you start looking for a dog, decide whether a puppy, adult dog or senior dog would be best for your lifestyle. 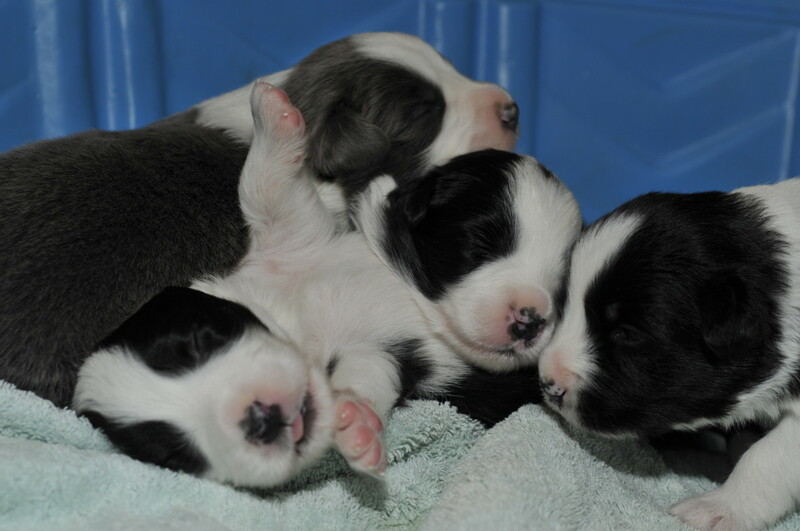 Puppies are adorable, lots of fun and you’ll have the chance to shape his habits from the start. With a very young mixed breed pup, you might not know how big he’ll be when he’s full-grown. If you choose an older puppy (over 6 months old), you should have a better idea of his full adult size and personality. As great as puppies are, housebreaking and training a young pup takes time and effort, so make sure this is something you're willing to do. Most shelters have a good selection of adult dogs of all ages. Generally, they're already housebroken, unless they were dogs that lived their lives on the street. Many know basic commands such as 'sit', 'stay' and how to walk on a leash. The main benefit of choosing an adult dog is knowing exactly what you're getting. He's already at his full size and you'll be able to see his personality. 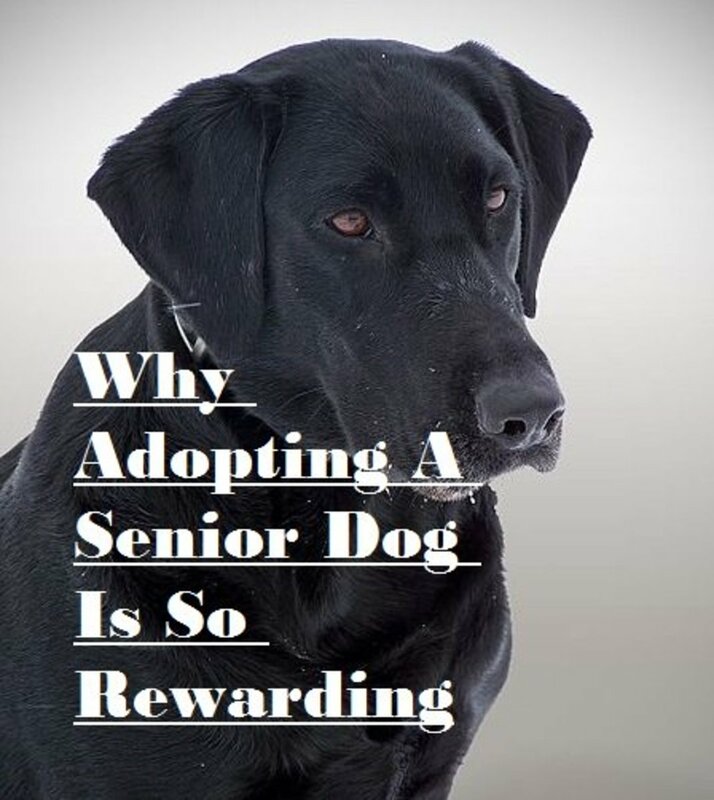 Some people shy away from dogs with some white on their muzzle and go for the younger dogs, but there are many wonderful senior dogs in good health with many more years of love to give. Most have learned good manners, are housebroken and make loyal companions for individuals or families. 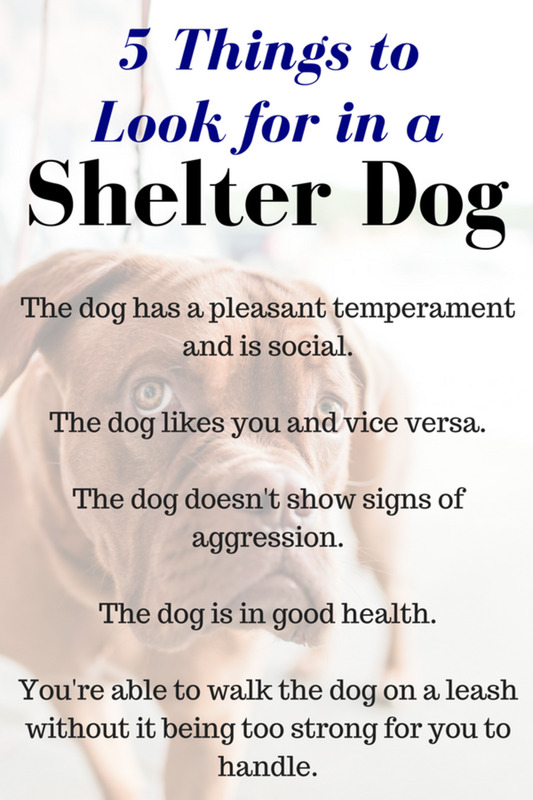 As you walk the aisles of the shelter, it's important to remember that you can tell a little about a dog by their behavior inside the kennel, but it’s not always the whole story. It’s not natural for a dog to be in a cage and every dog reacts differently. Some seem frantic and will bark, jump, yelp and do just about anything they can to get out. Others look scared of the shelter experience: the noise, the other dogs, and the parade of strangers sticking their hands into the cage. These dogs often linger toward the back and look skeptical of everyone who comes past. As a volunteer, I found that some dogs that are extremely active in their kennels start to calm down once they're out and feel less confined. Other dogs that seem scared or shy begin to warm up once they come out and start interacting with someone one-on-one. When you find one or more dogs you really like, ask the shelter staff any questions you might have about the dog. If you're still interested, ask to see each one outside of their kennel. Some shelters have 'Meet & Greet' rooms where prospective adopters can spend time with a dog. Dogs are usually excited to come out of their cage, so after they greet you and settle down, you’ll begin to see more of their personality and get a better idea how you get along with each other. If it's possible to take a short walk with the dog, this will help you know if the dog is right for you. Does he walk relatively well on a leash? Does he seem to like you or is he just happy to be out of his cage? Are you comfortable with his energy level? Do you feel a connection with the dog? Can you picture him as yours? Sometimes you'll just know you found the right dog and it's an easy decision. If you're not sure, don't feel you have to adopt a dog on your first trip to the shelter. It’s more important to wait until you’re completely sure about a dog before you make it official. Not all dogs come to the shelter in the best of shape. They may be underweight from malnourishment, they may not have learned good manners or they could be shy from being mistreated or neglected by previous owners. At the dog shelter where I worked, I saw dogs that were transformed from thin, timid or poorly mannered dogs into happy, confident dogs that would make great additions to anyone’s family simply by interacting with caring volunteers, getting regular meals and some extra love. If you're willing to spend a little extra time and effort with a dog that might otherwise be overlooked for one reason or another, you will find it to be a very rewarding experience and very well may be saving a life. 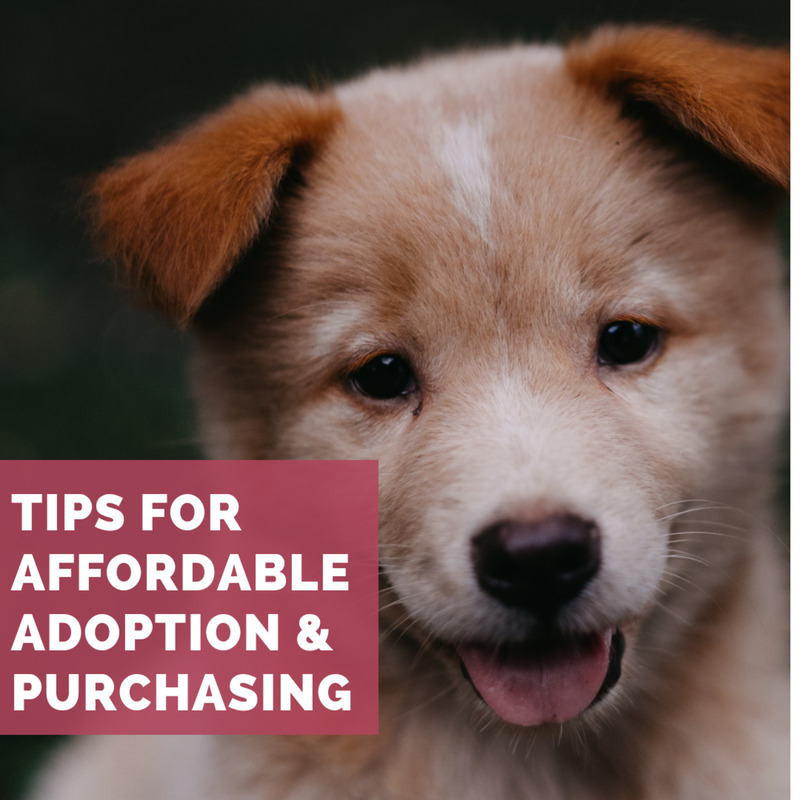 The more you know about the dog and the shelter's adoption policies, the smoother the adoption process will be. How is the dog’s health? Does he or she have any known medical issues? Have they done temperament testing? If you have children, do they think this dog is suitable for your age of kids? If you have other pets, do they think this dog will be safe with them? What is the shelter’s return policy in case it doesn’t work out for some reason? Is there a health guarantee on the dog? Let everyone in your household meet the dog before you adopt. 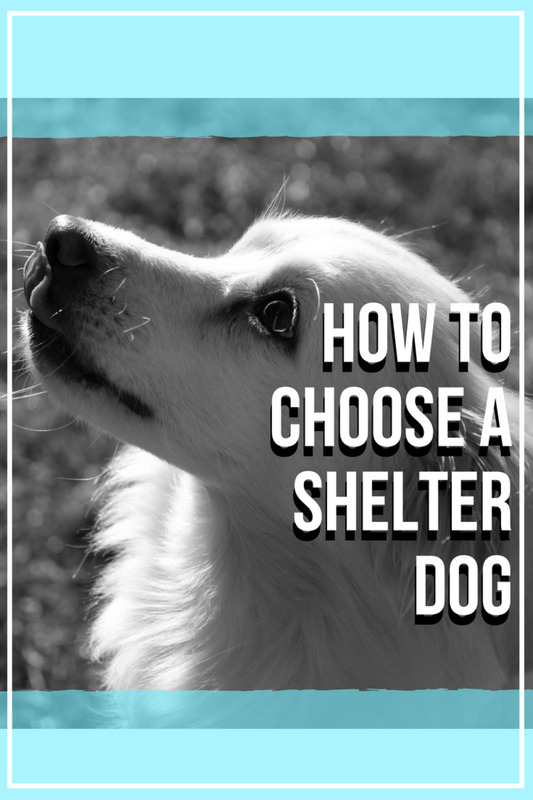 Some shelters will allow you or even encourage you to bring your current dog to the shelter to see how it gets along with the dog you're considering. If you’re having trouble deciding between a few dogs, ask the shelter staff or volunteers for more information about the dogs. These people work with dogs on a daily basis and are usually familiar with their unique personalities. Tell them a little about what you’re looking for and see what dogs they recommend. Once you’re sure about a dog, don’t wait long to officially adopt it. While some dogs stay at the shelter for a while, others are adopted very quickly. Congratulations for thinking about adopting a shelter dog! Not only are you possibly saving the life of the dog you adopt, but you’re saving additional lives because cage space is at a premium in shelters. I hope this article has helped you and I wish you luck in finding your new best friend! Petfinder has helped 25 million pets find their families through pet adoption. Help us celebrate our 20-year legacy while inspiring a new generation of pet lovers to consider adoption. Thinking about adopting a four-legged friend? There's no time like the present. Check out our nationwide database of dogs looking for good homes. You're very welcome, Erin! Good luck on your shelter visit and finding your new best friend :) Thanks so much for your comments. This came at the perfect time, I'm going to the local shelter tomorrow to hopefully adopt my next family member.thanks for the great article. What a great write up of the shelter experience. I can tell you first hand that the dogs I've adopted from shelters have always turned out to be loving and grateful for the rest of their lives. It does tug at your heartstrings to go to a shelter and I can't imagine having the fortitude to work in one. I would end up with a houseful of dogs. Thanks for promoting the adopt from a shelter ethic. I guess it just depends on the shelter and their rules. Some shelters will give dogs to anyone who wants them, others are more picky. County shelters or kennels have more red tape. The place where I got one of my cats does a mini-background check to make sure an adopter isn't a known animal abuser or someone affiliated with any type of animal research. I read a good hub the other day (ologinquit0? Sorry I don't have the link) and he was discussing how they were turned down. It is hard to tell online, obviously, but the family seemed okay. Thanks... Where I worked they were pretty strict about making sure the adopter and the dog were a good match. If they were turned down, it usually because the staff didn't think the dog wouldn't be safe w/ the age of children they had, or the dog didn't get along w/ the adopter's existing dog(s) during the meet & greet. A lot of good info. What about when the shelter turns down the potential adopter? Did this happen often where you worked?